Let’s Make It Better’s Sunlite Café in Stirling gives people with mental health challenges the opportunity to gain self-confidence and skills in a friendly, supportive environment. Members are involved as volunteers in running the café and offered formal training in food and hygiene. In 2014 they tried out the new REHIS Elementary Cooking Skills course. Sunlite Café is part of Let’s Make It Better, a user-led mental health charity formed in 1994. The charity aims to support people with severe and enduring mental health issues within the local community, by providing a safe, flexible working environment and a venue for social contact. 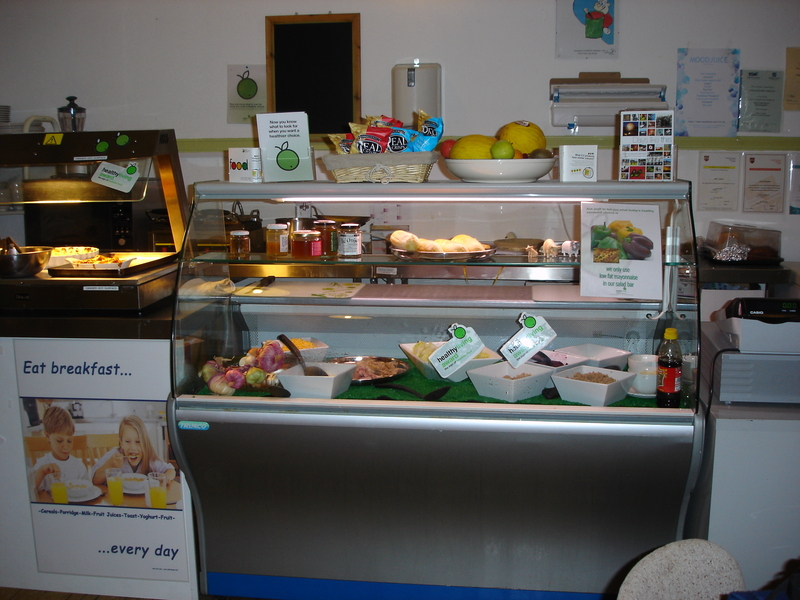 The café is the core activity, offering healthy snacks and lunches at reasonable prices, while offering member volunteers the opportunity to experience best practice in food preparation, health and hygiene. This, together with formal training, helps to prepare volunteers to move into paid employment, either in commercial catering, hospitality, customer service or retail sales. All volunteers have the opportunity to undertake Royal Environmental Health Institute of Scotland (REHIS) courses. Early in 2014, nine volunteers took part in the new REHIS Elementary Cooking Skills course. The course is suitable for people with little or no cooking experience. It is flexible and can be tailored to a wide range of audiences, from those with an interest in food or considering training in catering, to people learning to live independently for the first time. It can run over many weeks, as part of a wider programme, or as a stand-alone six-hour course. A range of dietary requirements such as halal, vegetarian, or gluten-free can be catered for. Early in 2014, nine volunteers took part in the new REHIS Elementary Cooking Skills course. The new REHIS Elementary Cooking Skills course is suitable for people with little or no cooking experience. It is flexible and can be tailored to a wide range of audiences, from those with an interest in food or considering training in catering, to people learning to live independently for the first time. It can run over many weeks, as part of a wider programme, or as a stand-alone six-hour course. A range of dietary requirements such as halal, vegetarian, or gluten-free can be catered for. The Sunlite café has a small catering kitchen and space for up to six people to prepare food and this space was used to deliver the new course. The café co-ordinator ran the course in the kitchen in January 2014, a quiet time for the café. It was run three times, with each course being delivered over four sessions each lasting four hours. The volunteers worked in pairs or groups of three. All of the food prepared by the group was sold in the café, so the trainer had to ensure that it met the standard required. The volunteers also ate the food prepared for their lunch. The first session was used to cover food hygiene and the volunteers were given written materials to take home and read. They also made soup. In the second and third sessions, the volunteers learned to make a wide range of dishes and to adapt recipes by changing the quantities and using different ingredients. They used written recipes and learned to use scales and convert these measurements into cup and spoon measurements. In the final session, the volunteers prepared three of the recipes again, in pairs, and without any support from the trainer. That session was used to focus on assessing the volunteers, although the trainer had observed the volunteers’ skills and carried out assessment during all of the earlier sessions. Let’s Make It Better received funding from CFHS to deliver the course. The trainer reported that all the volunteers have gained in confidence and are more interested in learning about food. They ask questions about recipes and ingredients and report on recipes they have tried at home. The course has had a positive impact in the café, with more skilled and confident volunteers being available to prepare meals and snacks to a good standard. The trainer plans to run the course in the future and is considering providing the course to other organisations for a fee to generate income for the café.